At ROLI I was involved with UX and Service Design across their hardware, software and cloud product and services as well as entire company design. 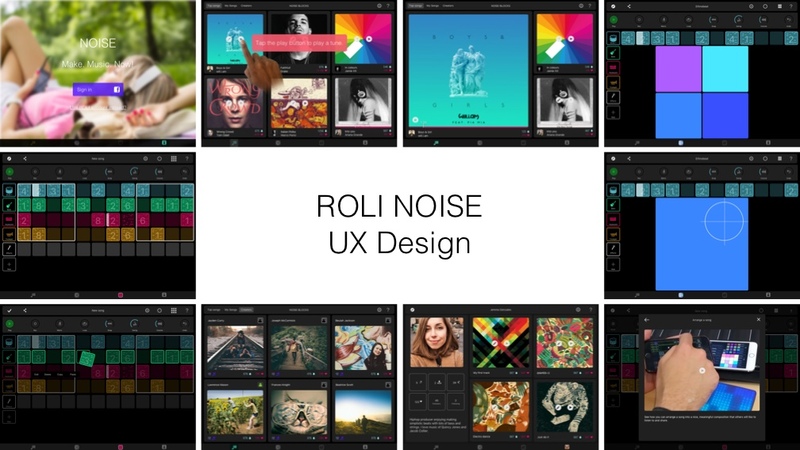 ROLI is a world class design led startup. I came to ROLI with a task of bringing in a structured, strategic approach to UX and Service Design. This is the way in which I helped ROLI bring in UX best practices across all their software, hardware and cloud products and services. I did UX and Service Design for ROLI website, JUCE website, parts of ROLI Equator software. 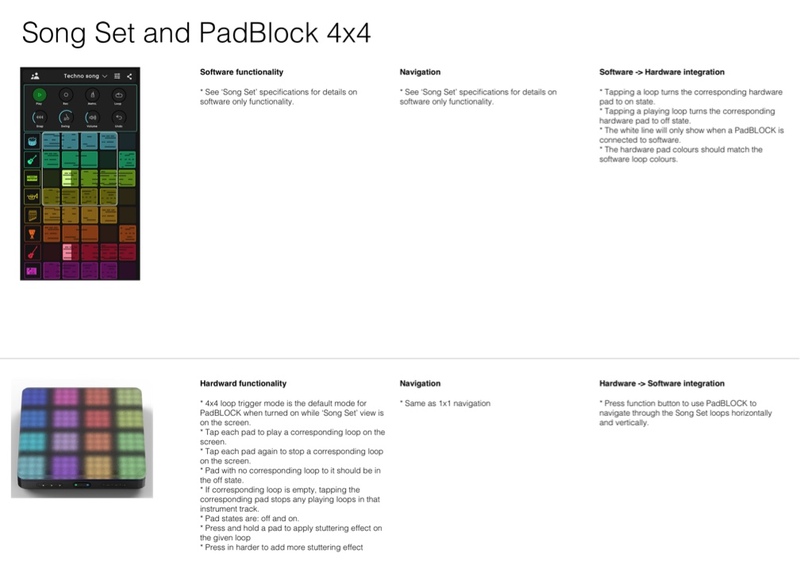 My main UX Design task was to work on entirety of ROLI BLOCKS flagship music making ecosystem. 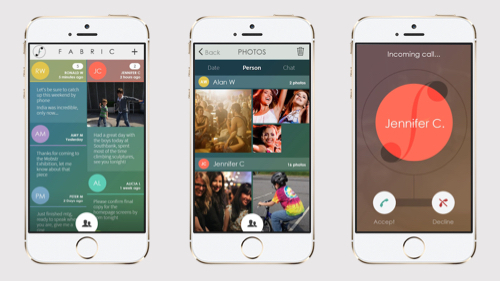 This included software UX Design, hardware interaction integrations and cloud services design. Before I joined, ROLI were approaching UX Design in a tactical way. My role was to bring in a much more strategic approach to everything. I made sure that company's entire mission, vision, goals and objectives were guiding my approach. Early on I established a close relationships with ROLI's CEO Roland Lamb and all other executives at ROLI. I also worked with all ROLI employees. This included: product owners, developers, managers, industrial designers, makers, artists, etc. 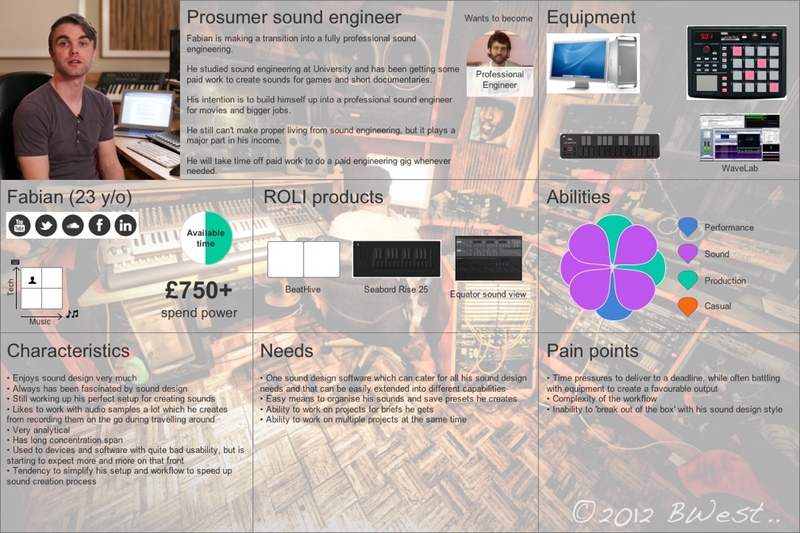 Before any physical design, I gathered and organised existing research on ROLI's audience. After identifying the gaps in research, I carried out further research to round off the insights. 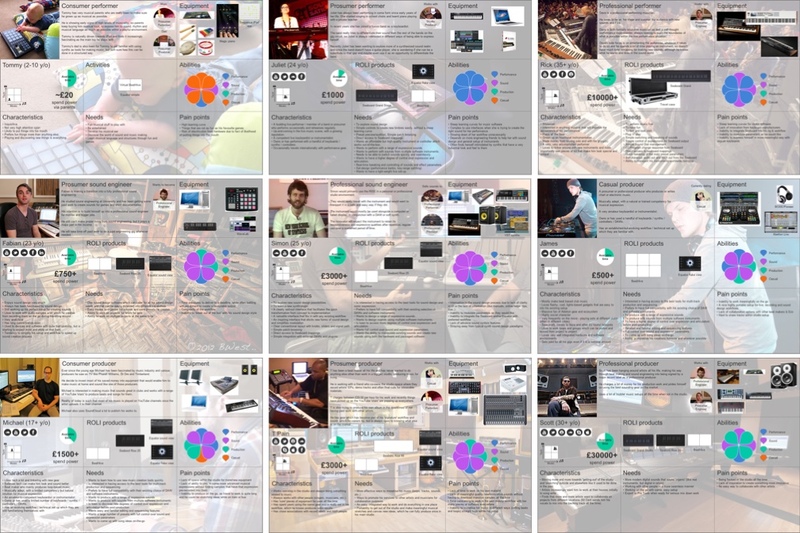 My research techniques included: one to one interviews, ethnographic observation (in person and by watching various YouTube videos of musicians in action), surveys and market analysis. Later on, we integrated usability testing to ensure users love the product. Two core pieces of research I produced guided ROLI's product design. 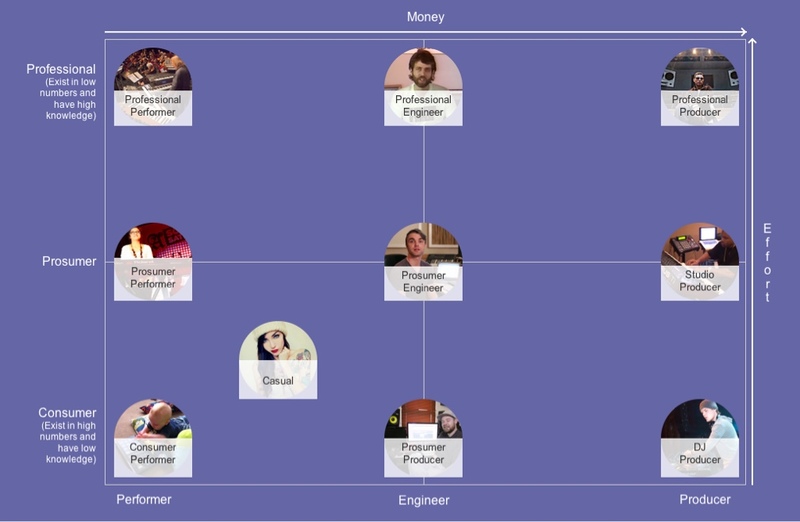 These are the marketplace outline and ROLI personas. Early on we decided to call ROLI users and customers 'creators' to remind us all that people using ROLI products create music with them. Ideas are abound at ROLI. The company runs a weekly hack day and in regular work life all employees come up with ideas all the time. I wasn't much different from this. We non-stop explored new concepts, thoughts and angles in as visual a way as possible. We worked to the highest fidelity deliverable at any all times. Sketches were a regular aid to conversation. 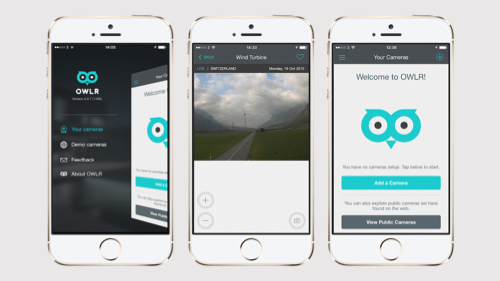 Storytelling was an integral part of our approach to product design. 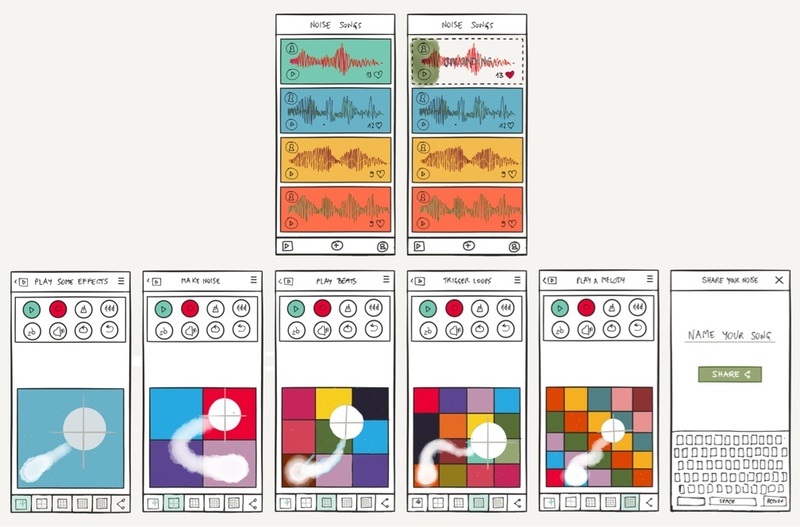 At ROLI I worked with visual designer all the time. I produced wireframes and wire flows for how software should work. Visual Designer then applied branding and developed the visual language further. Together we ensured that software achieved highest possible quality standard and ROLI creators' expectations. 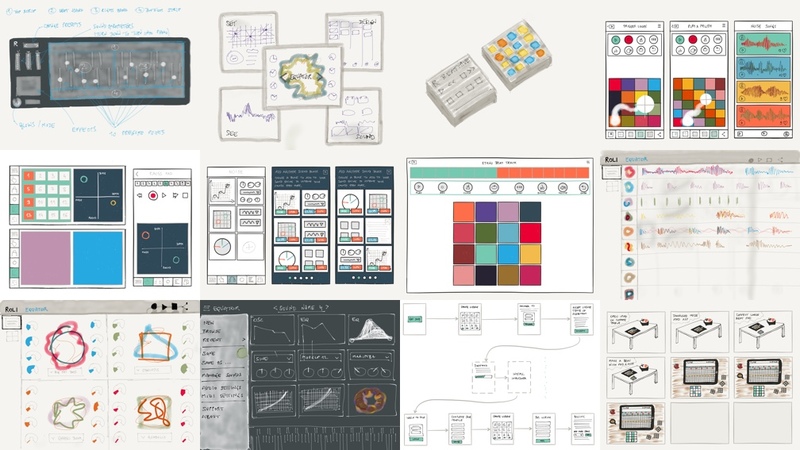 Here are some examples of wireframes and high fidelity designs we were outputting later on in the design process. At ROLI, for the first time in my professional life I had to specify the way in which hardware and software should interact together. For this, we came up with an approach which listed hardware components alongside software screens and documented each available interaction. This process, although elaborate, was crucial to create a tight integration between hardware and software. It, in turn, ensured amazing user experience ROLI BLOCKS have now. Apple loved what we produced with BLOCKS hardware, software and cloud music making ecosystem. This is why ROLI BLOCKS are now sold exclusively in Apple Stores worldwide. Here are some product stories which I also contributed ideas towards. I worked with video storytellers at ROLI to help produce these creator centered stories. BLOCKS are a popular product now with creators worldwide. Here are some of the impressions of how Apple have received it and how much fun they are with Apple customers.